Do you have a great desire to travel the wonderful continent of Europe? Do you fear the price of a trip is far beyond your means? Would you like to discover ways to save money and see Europe at the same time? If you answered "Yes" to any of these questions, then this audiobook is for you. 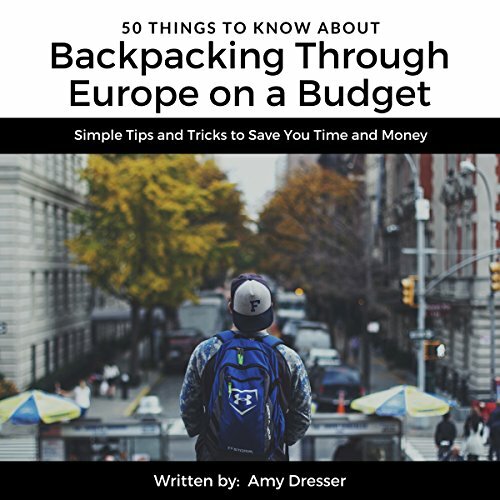 50 Things to Know About Backpacking Through Europe on a Budget, by Amy Dresser, offers a unique approach to traveling throughout one of the world’s top tourist destinations. Most guides on European travel give you advice on the best places to stay, eat, and visit, but they fail to take into account that many of us cannot afford five-star hotels, the fanciest restaurants, or the pricey admission fees to many attractions. Although there's nothing wrong with those travel guides, this audiobook will give you priceless tips on how to make the most out of Europe on a limited budget. You'll discover an unforgettable European vacation is possible even when your funds are limited. This audiobook will help arm you with tricks, tips, and knowledge on how to see and do the things you want to do in Europe without breaking the bank. By the time you finish this audiobook, you will know how to backpack through Europe like a pro and still have money left over.